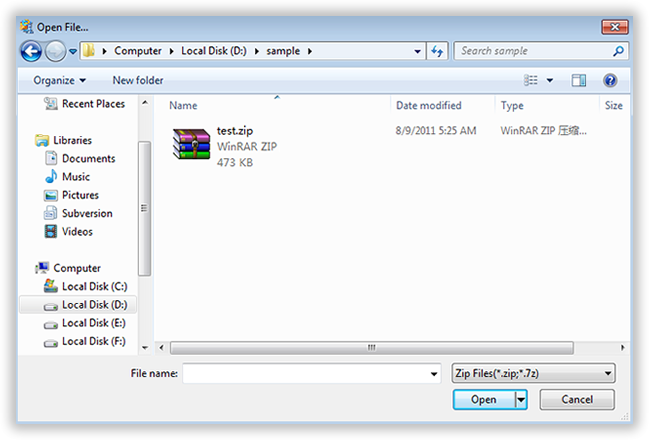 Zip file is the most popular file extension to archive one or more files for storage or transmission. It is the most extremely used archive format that everyone uses around the world to compress many files and folders in one convenient location. It helps to reduce the size of the file and it the easiest way to organize files and folders. It is usually opened with 7-Zip and WinZip software which are free programs to use. Not to mention, but zip files also comes with huge privacy and security that allows you to set up passwords to prevent any kind of suspicious intrusion. You may have encountered hundreds of zip files protected with password, especially when you download any zip file from the internet or you can set up a password for your own zip folders to prevent anyone else from accessing it. But the real issue arises when you forget the password of your own zip file and unable to access the data contained in it or you can download a zip file from the internet and find it encrypted with a password. In this tutorial, we will show how to unlock any password protected zip file so that you can extract the files and folders and use them normally. There is no easy way to unlock a zip file without a password and you will have to use some third party software to crack the password. 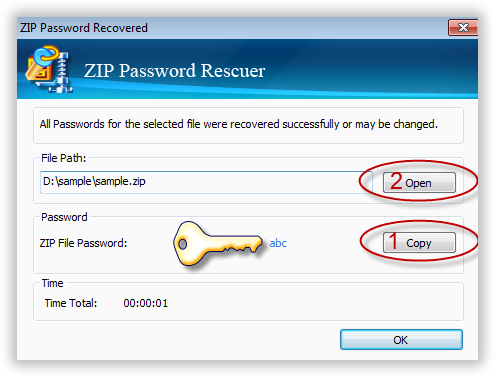 Fortunately, there are few ways to recover zip files password that we will discuss in this article. Now this may sound very simple but it is one of the most effective way to recover any password. There are series of patterns that you can use to guess the password and we will list down few tricks that will help to recover the password. 1. Try to enter the most common passwords such as 111111, 123456, password, abcde123, welcome and so on. 2. Use nicknames that you often use to set up password in other websites. 3. Guess the names of your dear ones that you might use as password. 4. Try to enter your car name or pet name or library card number. 5. Guess your favorite things such as favorite books or favorite movie or favorite food and so on. If none of these tricks works then keep on reading and try the next method. There are few websites that offers to unlock the password of zip files without any cost. In this part, we will discuss about a very particular website that helps to reset the password of any zip file. Step 1. Go to http://archive.online-convert.com/convert-to-zip and click on browse to open the locked zip file. Step 2. Click on Convert file after choosing the zip file. Step 3. The website will now upload the file on to their server and re-convert it to zip format completely destroying the password from the original zip file. Step 4. Download the zip file and open it without using any password. Cons: We don't recommend using online zip file password unlocking service if your ZIP contains sensitive business or private information, it's not safe to upload your private files onto online site because online service will generate a copy of your data. Another point to consider is if you need to unlock lots of ZIP files password, it may take a very long time. Because most users like to set a complex password, these should contain numbers, letters and special characters. So, long and complex password makes it difficult to unlock ZIP files with online unlocking service. To fast unlock your ZIP file password, it's highly recomend using iSeePassword ZIP password unlocker, which is the most efficient and effective way to unlock password for any kind of zip file format including ZIP/WinZip/7Zip archives. It is extremely fast and it offers 86% guarantee to unlock the password of your zip file. The program is absolutely easy to use and it uses very strong algorithms and schemes to crack the ZIP password. It offers four types of password decryption including dictionary and brute force attacks. Let us explain how it works. Download the program on your computer and install it. Run it and you will find there are many features integrated in it. Please select the first option and next. The trail version allows you to unlock 3 length password, if you need to unlock long password, you need to register the program. From the main interface of the program, click on "Open" and add the zip file that is presently password protected. Once the file has been selected then open it by a double click. Select the type of attack that you wish to implement to crack the password. The program offer four different types of attacks including Brute-Force, Mask, Dictionary and Smart. For instance if you choose dictionary attack then the program will attempt to enter all the possible words that can be found in a dictionary. You can either use your own database or you can use the one which is provided by the software by default. Finally, click on "Start" to begin the password recovering process and as soon the password is recovered, it will appear on the main interface of the program. The program works super quickly and it literally takes few seconds to unlock any zip file password. So, next time you forget your own Zip file password then you know what to do to recover the password. We have shared some useful tips to guess your password and recover them using third party software like Zip Password Unlocker. There are many tools available on the internet but you may consider trying this program as it has been tested and proven to crack myriad of locked zip files without any issue.